Hilltoppers Grand Prix Big 6 WCGP Results – Thank fast. 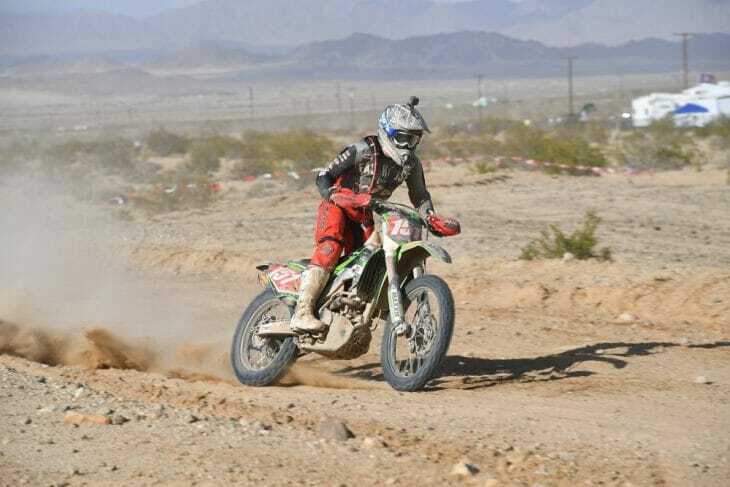 That’s what you have to do to be in the right frame of mind when you line up for the start of the Hilltoppers Grand Prix in 29 Palms, California. 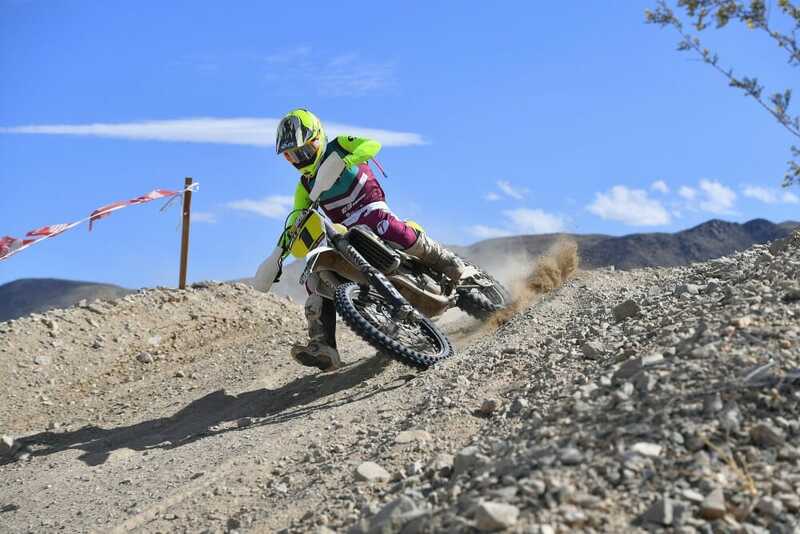 It’s one of the fastest racecourses on the AMA Big 6 West Coast Grand Prix (WCGP) circuit, and no one was better prepared for it than Zach Bell (3 Bros./STI Husqvarna). For the second round in a row, Bell claimed the WCGP victory and with it moved into the championship lead. Bell rode fast at the start but saved his best for the last; that’s when he flipped on the afterburners and reeled in and passed leader Dalton Shirey (Rockstar Energy Husqvarna Factory Racing Off-Road Team)—who successfully resisted Bell’s earlier attacks in the race—for the lead and the eventual win. Trevor Stewart (JCR Honda) took third, crossing the finish line 29 seconds behind Shirey. The Chaparral Motorsports/Precision Concepts Kawasaki duo of Blayne Thompson and Justin Seeds rounded out the top five. Clay Hengeveld (Chaparral Motorsports/Precision Concepts Kawasaki) extended his unbeaten record in the WCGP Pro II class to three. Brandy Richards topped the WCGP Women’s Pro class.